A decade has passed since Roman Abramovich stole Tofiq Bahramov’s title as most famous Russian in English football, when he became the new owner of Chelsea Football Club in July 2003. Since then the club has been transformed into a true European giant, and have won every domestic and European trophy on offer under the ownership of the mysterious oligarch. At 12 years of age at the time of the takeover, I’m fortunate-I think- just to know of Chelsea as they are today, successful. My worst memory of watching Chelsea was a 3-0 defeat at home to Manchester United with David Beckham pulling a monkey face celebration. Of course, I’ve heard plenty of stories of when we were s**t, they seem like fairy tales seeing how the club is today under Roman. Without him, the stories I’ve been told would be fond memories of when we were good! Chris Hamilton summed it up perfectly in his piece, http://test.cfcnet.co.uk/2013/07/some-wealthy-russian-oil-bloke/, we’re privileged. Without going into too much detail about the last ten years, Roman’s vision was to create a world leading football club, and that’s been pretty much achieved. And who can forget his Champions League ‘obsession’,which was finally realised in Munich. 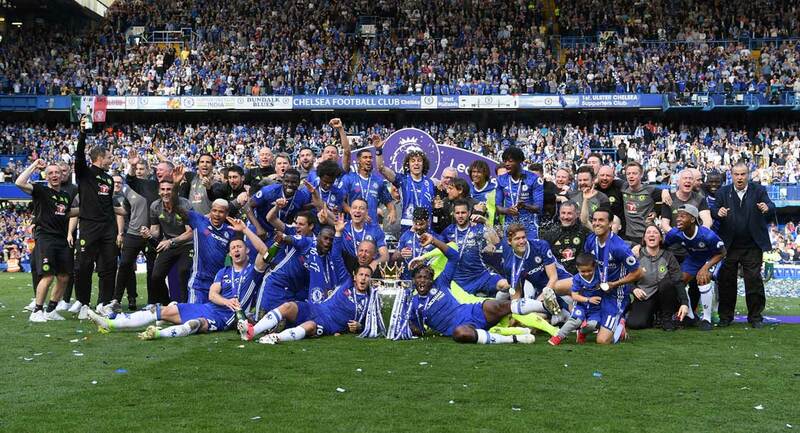 So what do the next 10 years hold for Chelsea? What’s the plan? Firstly, the issue with the stadium must take priority. Of course on the field matters always come first, but finding a new home capable of holding crowds to match the likes Arsenal and Manchester United is a must, especially with Liverpool, Everton and Tottenham all likely to have new grounds within the next decade. Financial Fair Play is Uefa President Michel Platini’s legacy, and he will use every available source of power to ensure these rules and regulations are followed. Bigger gate receipts are one of the most important sources of income, as bigger gates equals bigger sponsorship deals. My age, and time being a season ticket holder was one of the main reasons I wanted the Chelsea Pitch Owners to vote yes in 2011, I trust Roman to right by this football club, his football club, and given the amount of money he has pumped in, it’s highly unlikely he will ever just pull the plug. However, after researching the topic, my mind started to change, the clubs treatment of the CPO, especially from the chairman Bruce Bruck, showed little to no regard of the fans, the very same fans that made the takeover possible. Those original shareholders, who each spent out their hard earned money to save this football club, my football club, our football club, are the true owners, and always will be. The club tried to cheat their way to victory, and that is just plain wrong. The role of the CPO board must also be questioned, when Chelsea board members and their family members started to take a sudden interest in becoming shareholders, at the same time of a historic vote should have been questioned and should have been stopped. I have requested information on all new shareholders since the shares went back on sale since the vote, but have heard nothing back from the CPO. It’s easy to understand both sides of the argument as to why to vote yes or no, but the fractions caused need to be fixed in the best interests of the club. The club needs to put serious thought into the expansion of Stamford Bridge, and let the supporters know of the findings, we need transparency from the club. If this is truly unachievable, then a list of potential new homes should be drawn up, and the season ticket holders, members and CPO shareholders should be allowed to vote on the most popular. Leaving a ground of 108 years isn’t going to be easy, but if it’s done together, the whole process will be a lot smoother. The freehold of the stands and the pitch could be transferred to the new home, if Roman wanted it too, and I’m sure that would please most, it not all parties. The last 10 years have been a roller-coaster, with some lows and some very dizzy highs, and the next 10 look to be no different, but we wouldn’t wish for anybody else other than that rich Russian bloke, we are truly privileged to have Roman. Next articleWhich one? Higuain, Suarez, Negredo, Solado?